Real can’t afford to fall asleep at the wheel. Real Madrid returns to the Bernebéu this weekend, as the club takes on 15th place Real Sociedad. 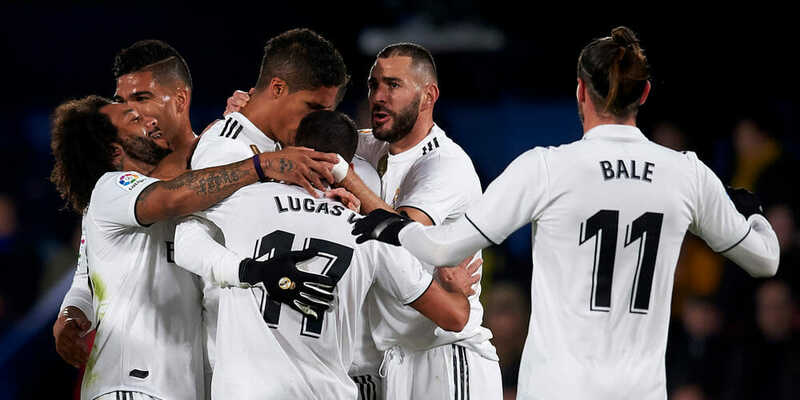 Tune in to see if Real can avoid dropping points in a match-week that sees Atletico Madrid take on Sevilla, the second and third-placed teams, respectively, which are both above Madrid in the table. Here is everything you need to know to watch the Real Madrid vs. Real Sociedad live stream online for free. There are only three live TV streaming services that offer beIN Sports, which you’ll need to watch any La Liga matches. Here’s what you need to know about each one and how to get a free trial. As the new year gets rolling, most Spanish clubs are playing their last league games for a while because of the impending start of the Copa del Rey. The defending Champions League winners are only two points above Alaves for the final UCL spot, and as wild as it may be there is a real chance that Madrid could miss out on the top four. Real Madrid plays 30 games every year that it expects to win and this is one of them, although Sociedad played Madrid pretty tough in recent meetings. Real Madrid 2, Real Sociedad 2. New to cord-cutting? Here are our picks for the best movie streaming sites of 2018 and free live TV apps and channels. If you’re looking for a specific channel, here’s how to watch HBO, Showtime, Starz, ESPN, ESPN2, ESPN3, AMC, FX, Fox News, MSNBC, CNN, CNBC, FS1, TBS, TNT, Golf Channel, Cartoon Network/Adult Swim, Bravo, Lifetime, Discovery, PBS, the CW, BBC, CSPAN, NBA TV, MTV, the Weather Channel, and NFL RedZone without cable, as well as free movies on YouTube. If you’re on the move, here’s how to watch Fox Sports Go and live stream NBC Sports.